Stallion Alert - Record Collecting - Portland, OR: January Record Shopping at Amoeba Hollywood, Part Two. 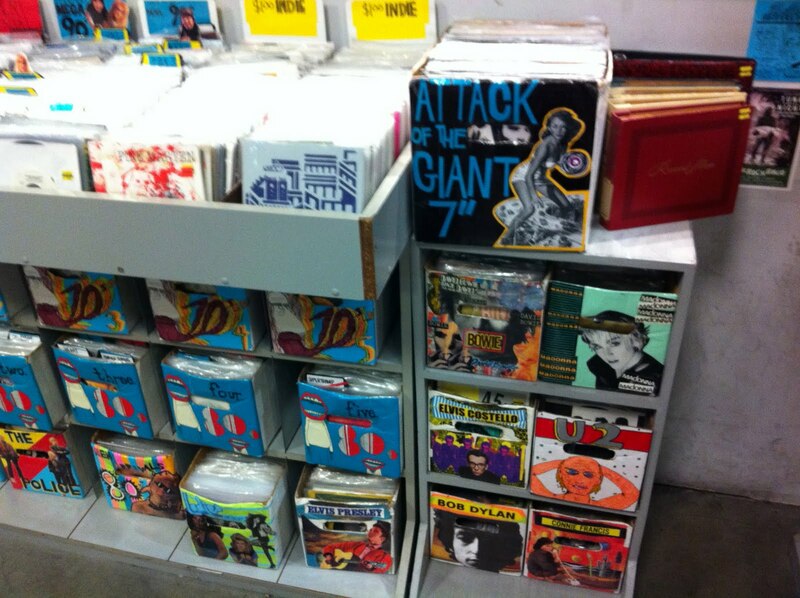 January Record Shopping at Amoeba Hollywood, Part Two. Amoeba is overwhelming, especially when I inevitably get lost in the 7" section, find way too much stuff, and then have no choice but to neglect some of the deeper recesses of the store, lest my finances crumble. I always at least check out the new arrivals, dig pretty hard through the hip-hop section, and look for selected things in the main rock area. But, this time, as usual, I spent the majority of my time - and money - in the amply stocked and meticulously organized 7" nook. Here's some of the stuff I grabbed. If you're keeping track at home, I now own two Love Battery 7"s, a German-press 12" single, and now this, a promo-only 10" on clear-blue marbly vinyl, which apparently came out in advance of their major-label debut. I also have two actual Love Battery albums on cassette, but I have yet to make the big leap to full-length vinyl. I'll get there! 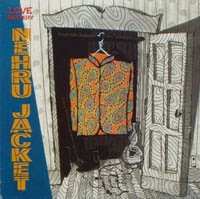 This little EP is pretty sweet, as it features cover art by Ed Fotheringham, two tracks from their at-the-time forthcoming LP Straight Freak Ticket ("Nehru Jacket" and "Red Onion"), and two non-album tracks ("Please Before You Go," which is a cover, and "Illuminated Man"). Kind of a cool little find. And I think it was three bucks. Even cooler. My first Karp 7"! How exciting. I always thought this was the band's first release. Is it not? Maybe Discogs is feeding me erroneous info. Wherever it sits chronologically in their catalog, I'm happy to have it. The copy I bought is in incredibly great shape, unless there were supposed to be inserts in it, in which case I'm pissed that mine doesn't have any. I enjoy a 7" that is 45 on one side and 33 on the other and makes no effort to fill you in on the situation, and this is one of those. The two tracks here are "A Turkey Named Brotherhood" and "I'd Rather Be Clogging," and they are both sufficiently blistering. But you already knew that. If you preordered the Wowee Zowee: Sordid Sentinels Edition deluxe reissue from Matador's Buy Early Get Now promotion in 2006, you received a bonus 7" that featured two songs from the era that would not be included on the double CD. I failed to take part in that. But, all was not lost because I finally found a copy. It's actually not that rare, and I never felt the need to eBay it because I wasn't dying to have it. But here it was, and I bought the damn thing. 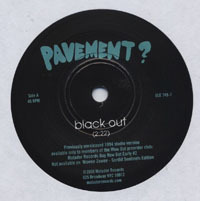 It features an extremely alternate version of "Black Out," as well as a not-so-alternate take on "Extradition." It comes in a plain white sleeve, which isn't very exciting, but one of the labels is black and one is white, so that's kind of crazy, right? I'm not sure if I've ever paid this much money for so little actual music. It's not like I broke the bank on this thing, but it was easily the most expensive 7" record I bought at Amoeba, and the grand total running time of music on the two sides of this single is one minute and twelve seconds. "She's Dead" clocks in at a respectable 0:38, while "Fuckhead" tips the scales at a lean 0:34. It makes for a quick listen. 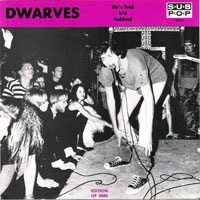 Still, this is a pretty rare record, and it's the Dwarves' first appearance on Sub Pop, so I had to get it. It was taped shut and I was hoping it was the rarer white-vinyl version, but it's the translucent black wax, which is still great. Plus, it still has the Sub Pop Singles Club flyer on the inside, which is key. 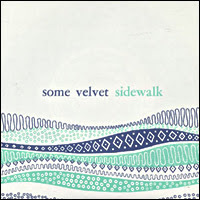 My Some Velvet Sidewalk collection continues to grow at a steady rate. This is my third 7" from the band, and the second one to contain three tracks, which is a bonus. "Free From It" is one of the more melodic SVS tunes I've heard, which isn't saying much at all, but it's something. Don't get me wrong: my wife would still ask me to turn it off, but this whole record is actually borderline listenable by anyone's standards. "Currents" is a poppy, short little number, and "Astrolabe" is a solid, steady instrumental. These dudes were onto something. I'm still not sure if I know what it is, but I might be getting closer to figuring it out. K Records, IPU style. My brother's been preaching the gospel of Long Hind Legs for going on 20 years, and I've always enjoyed the stuff I've heard from them on mixes he made for me, so I was more than willing to add this to the ol' collection for a few bucks. 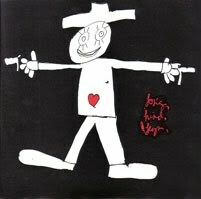 This is Vern from Unwound's surprisingly sensitive (and almost devastatingly depressing) side project, and I'm fairly certain this is their (or was it just him at this point?) first release. There's a surprising amount of music on this thing (over twelve minutes), and though it's definitely morose, it's also pleasant in that lo-fi, cloudy sort of way. My copy still has the insert with the lyrics for "This Cold Room" in it, which is an added bonus. 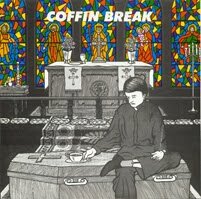 My previous experience with Coffin Break begins and ends with their track "Hole in the Ground" from the C/Z Teriyaki Asthma series, which I used to rock hard as a teen. But even then, that wasn't one of my go-to tracks. Still, they're one of those bands that I've always felt I should have given more time to, so here we are. This single features two songs, "Lies" and "Pray," and they are both very 1990-Seattle sounding, which is what I was hoping for. I think this was part of one of the early Sub Pop Singles Clubs, and the copy I got is on orangey-red marbled vinyl. It's in great shape, has a very literal cover, and was mad cheap. A little weird that I didn't own this already, especially considering that it's one of the least-rare Sub Pop 7"s from this era. Or at least this version is. This one's just the standard black vinyl. I know the first pressing was on purple, so I'll have to keep my eye out for that. 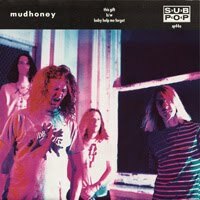 I keep toying with getting a little more serious about collecting Mudhoney records, but I know it would just open up a whole big thing that would never end, and I've already got that going with the Supersuckers. So for now, I'm keeping it casual. We'll see how long that lasts. Anyway, this is a classic single and now I finally have a boring copy of it. Still happy about it. I think this might be the first Flop release. 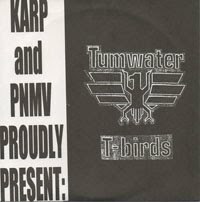 It's on Lucky Records, which I always thought was a semi-major player in the NW scene, but I think that might be just because I'm a Supersuckers and Best Kissers in the World fan, and they released stuff by both those bands, so it's popped up in my little world more than once. Turns out they didn't release a ton of stuff. Anyway, they released this, and it's got four tracks on it, which I guess makes it an EP of sorts. The sound's a little rough on this, but that's to be expected. 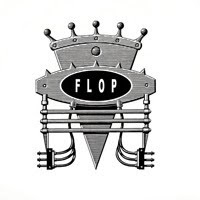 Still, Flop's poppy-rock sound that a lot of people thought would propel them to stardom shines through. Another one I picked up on the cheap. All right, that's it for now. But I've still got more Amoeba finds to share. Next time.